Hellboy and friends join Brawlhalla to celebrate the upcoming feature film | PowerUp! Ubisoft, Lionsgate, Millenium Media and Blue Mammoth have teamed up to bring Hellboy to Brawlhalla. 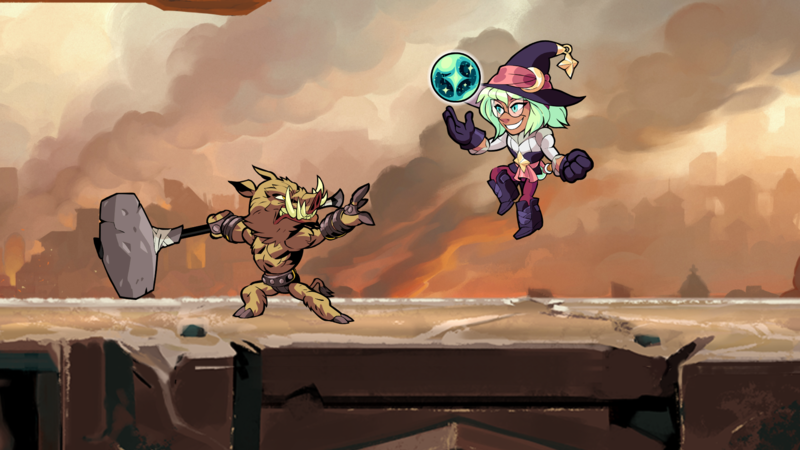 Available from today, Brawlhalla players will be able to purchase skins for Hellboy, Nimue, Gruagach and Ben Daimio. 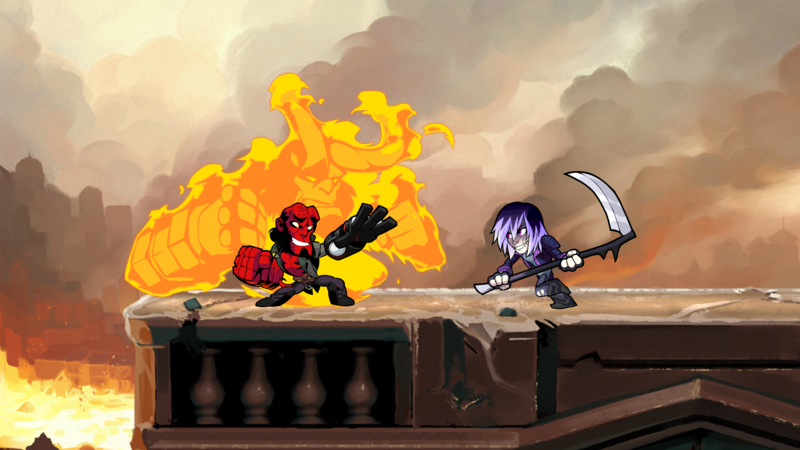 In addition to these special skins, a special Hellboy Horde mode will be added to Brawlhalla for a limited time. 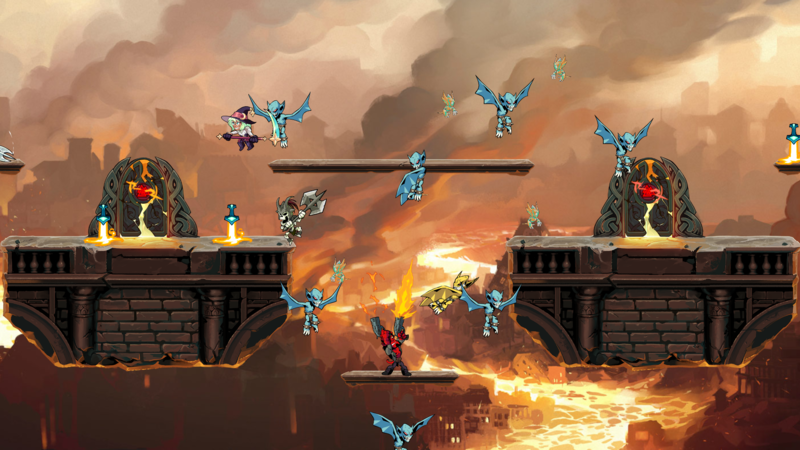 Brawlhalla will also take on a more demonic look during the event as it receives a Hellboy UI makeover and a Hellboy themed map. To purchase these skins, you’ll need to spend 300 Mammoth Coins each, except for Gruagach which will cost 240 Mammoth Coins. In the Horde mode, players will team up in groups of four to protect the gates of the Great Hall from an attack. An army of demons will attempt to breach the gates and it will be up to you and your team to survive for as many waves as possible. 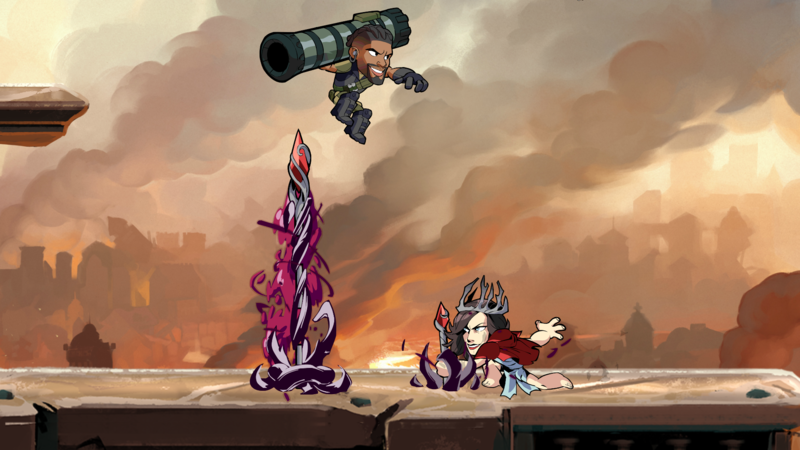 Following the conclusion of the Brawlhalla Hellboy event, Horde mode will be added as a custom game mode. From the pages of Mike Mignola’s seminal work, the action packed motion picture sees the legendary half-demon superhero called to the English countryside to battle a trio of rampaging giants. There he discovers The Blood Queen, Nimue, a resurrected ancient sorceress thirsting to avenge a past betrayal. Suddenly caught in a clash between the supernatural and the human, Hellboy is now hell-bent on stopping Nimue without triggering the end of the world. 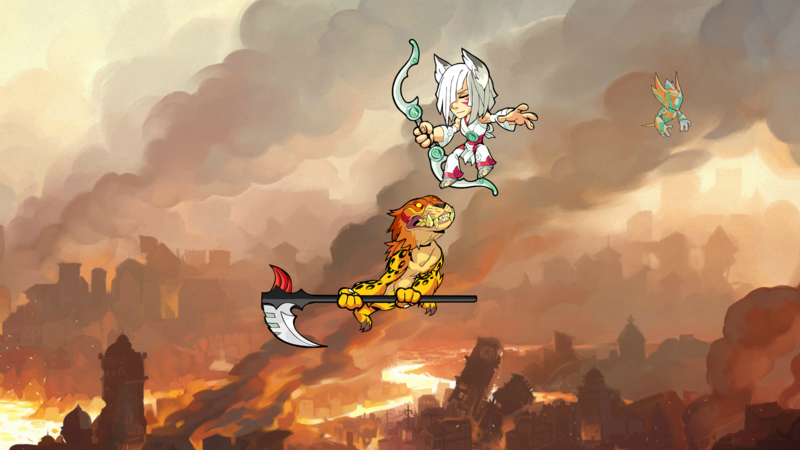 Brawlhalla is a free-to-play, fighter, similar to Smash Bros. With over 40 unique characters to choose from and single-player and co-op modes, Brawlhalla has lots on offer.